Honor, as usual, has declined one of its advanced models in a Lite version to seduce the most modest purses while bringing them into the Honor universe: the Honor 10 does not escape it. There is not much to criticize about the design of this Honor 10 Lite: certainly in plastic, the smartphone remains light, easy to handle and is ergonomic overall, with a fingerprint reader that fits well under the finger. The small notch on the front allows a nice optimization of the slab space, but nothing disturbing: there is only the micro-USB port that makes a little stain in the panel, and the lack of waterproofing (but this is not surprising at this price level). With a diagonal of 6.2 inches, the tile of this Honor 10 Lite is generous, well defined (2340 by 1080 pixels) and pleasant to the eye. However, it is necessary to go through the settings to obtain an almost perfect rendering in terms of fidelity. Only the brightness is a little low, as is the contrast, so this Honor is sometimes a little difficult to read when the brightness is a little too high. The headphone output of this Honor 10 Lite is quite weak, which is particularly noticeable when the connected headphones are very energy-intensive. Too bad, because the precision is there. The same cannot be said of the loudspeaker, which is very average in its rendering and power. The Honor 10 Lite is not a power monster, but it has what it takes to deliver a smooth experience, with application changes that are made without real hiccups. For the games, however, some concessions will have to be made to maintain optimal fluidity. In terms of photos, we will notice above all a concern for sharpness and contrast, even if the details are there and the colours are there. But above all, the images are a little flat and without strong dynamics. In the darkness, there are real rendering problems, the details are missing to the subscribers with a noise too loud to clearly discern the subtleties of the scene. In portrait mode, the depth of field effect also leaves him hungry, too artificial to convince. On the other hand, in selfies, the result is without much blame. In terms of autonomy, if the Honor 10 Lite has nothing to be ashamed of, we could also hope for a little longer, as the smartphone has trouble exceeding two days while the overall configuration remains modest. A question or a problem on the Huawei Honor 10 Lite? Create a discussion and our team will answer you! There is no opinion yet, be the first to add an opinion on the Huawei Honor 10 Lite. 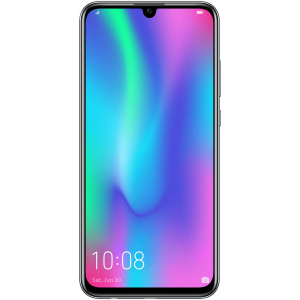 The Huawei Honor 10 Lite has several versions, you will find the features of the 64GB / 6GB RAM, Dual SIM version then on the (128GB / 6GB RAM, Dual SIM , 64GB / 4GB RAM, Dual SIM) alternative versions, only with features that are differents form the principal sheet. 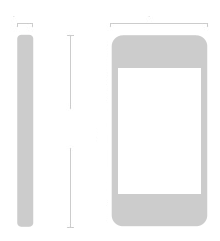 Information from the technical sheet of the Huawei Honor 10 Lite are only indicative, if you notice an error, please inform us with the icon displayed on the right of each specifications.